There is nearly nothing I hate more than opening Twitter or Instagram and seeing an endless stream of new content and feeling completely overwhelmed. Far too often I found myself scrolling for a ridiculous amount of time through content I didn't even like too much; it was draining instead of inspiring and I knew that I needed to make a change. I've been doing a bunch of research about minimalism and have to say that I love its ideals and principles (and how you can customize the extent you want to go so that you can create the perfect, simple lifestyle). I decided to embrace minimalism and the first place I began was with social media. Luckily I didn't have an insurmountable amount of people I was following, but I had some serious work to do to get to a better place with my social media. 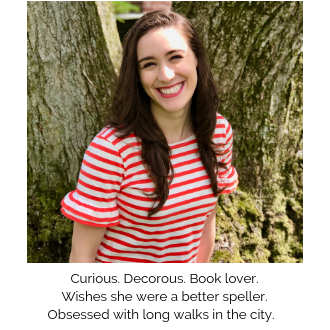 My goal was to follow no more than 50 accounts on Twitter and Bloglovin' and no more than 100 on Instagram and Pinterest (check out how I organize my Pinterst account here and how I purge my blogroll here). I chose these numbers because I can view images more quickly than I can digest words (hence, follow more on image driven sites and less on predominately text platforms). Critically look through your remaining list and only continue to follow those whose content inspires you or makes you smile or causes you to think. When you log onto any platform you should be excited by everything you see and eager to learn more. This can be a lengthy process, but it is so worth it. Since cutting down my list I have spent less mindless time on social media, been rejuvenated instead of drained after logging on, and have completely avoided that icky, overwhelmed feeling of the past. Check out all of my minimalism posts here! 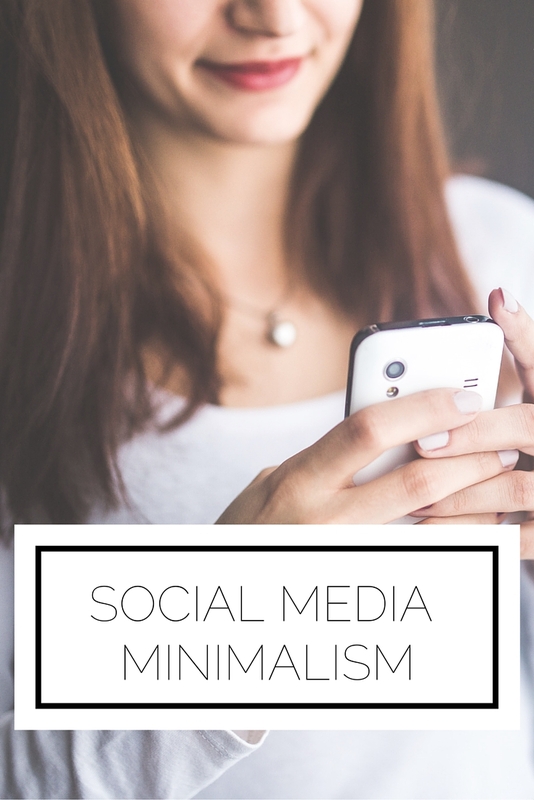 Do you embrace minimalism with your social media? What criteria do you use before deciding to click the follow button? P.S. I'm thinking of doing more posts on minimalism and how I've been incorporating it in every facet of my life. Would you like to read about it? I would love to read more about how you are incorporating minimalism into your life. This is really helpful, thank you for sharing. I completely understand that icky overwhelming feeling you get with social media, and I want to stop feeling like that everytime I browse through my timelines. I'll be using your tips this week to see how it turns out! PS: I'd love yo read more minimalistic tips from you!